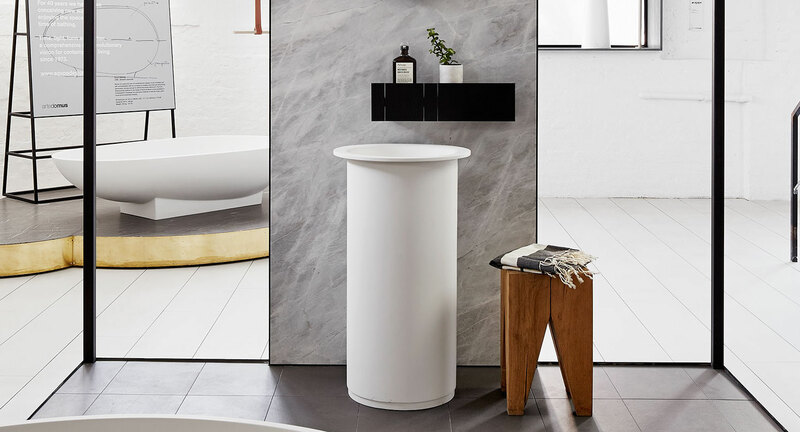 Agape In-Out pedestal basin. Design by The Stella Collective. Photography by Peter Clarke. 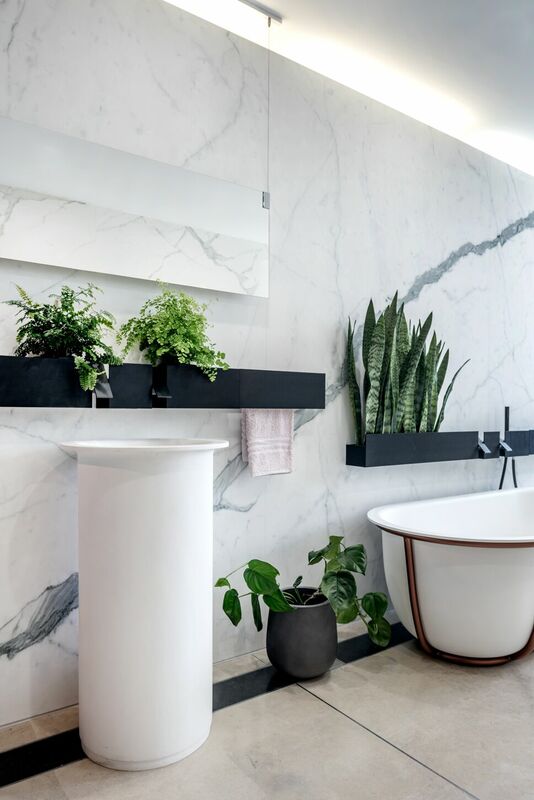 In Out basin, Insegna mirror, Sen tapware and accessories and Cuna bath with Maximum Statuario Matt porcelain panel wall. 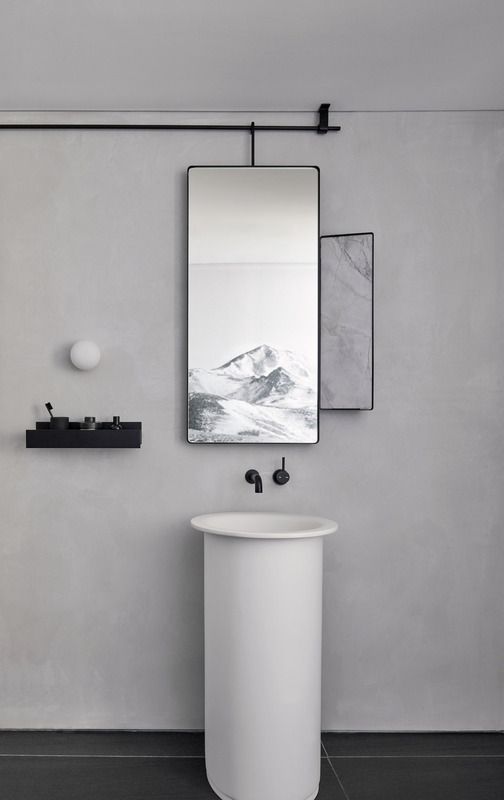 Made in white Exmar, the In-Out washbasin has a wide circular basin, surrounded by a slim edge supported by a cylindrical volume. Available in wall- mounted, corner, free- standing, on a top, or recessed. In-Out can be coordinated with the tops from the Flat XL and Evolution ranges.